Recently I saw the film “That Sugar Movie”. This is a documentary about the consumption of sugar in society. Damon Gameau, who usually is on a healthy diet goes onto a high sugar diet for 60 days to see the effects it has on him. The one-man experiment approach is similar to what was done in the documentary movie Supersize me. The average Australian consumes 40 teaspoons of sugar each day. It is likely the average American consumes more than this and that in other countries the pattern is similar. The consumption has increased significantly over the last 30 years especially as many low fat foods are high in sugar. So here is the really interesting part. He does not go to any fast food outlets nor consume soft drink or other foods, which public health zealots may classify as “junk food”. He gets the 40 teaspoons by eating healthy low fat food from the supermarket. This includes low fat yoghurt, “healthy” breakfast cereals and a myriad of foods, which we would not consider sweet or laden with sugar. I don’t want to give the plot away but suffice to say, the change in diet that he undertakes adversely affects his health. He describes how he feels both physically and mentally. There are also changes in his blood biochemistry. He is monitored by a doctor and has before and after blood tests. As one would expect, dieticians and elements of public health have criticised the film. They never like their ideas and “recordation’s” being held up to questioning. Their main criticism of the film is that he is just one person doing it. But this is a false criticism. What Damon Gameau has done, replicates what a large percentage of the population does daily and has been advised to do for the last 30 years or so since the “fat is bad” mantra was foisted on us. 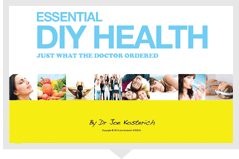 The effects on his body are no different to everyone else who is on this typically “western” diet of processed and packaged foods. It is seen every day in the increasing numbers of people who are overweight and who have other metabolic problems such as Type Two Diabetes. So far from being anecdotal, it is a typical example of what we collectively do. One key point surprised me. Despite eating the same number of total calories, he gained six kilos (14 pounds). This is because sugar consumption simulates insulin release in the body. In turn insulin works to lay down sugar as fat and inhibit fat burning. So anyone on a low fat diet is going to find it harder to lose weight. This in turn explains why Atkins and Paleo type diets work and why people on them say they do not feel hungry. Meals with a fat and protein content help us feel full. A calorie has the same amount of energy regardless of its food source. However its effect in the body may differ depending on the food source. In simplest terms this means any person wanting to lose weight needs to cut down on processed foods and sugars in particular as these foods will inhibit the burning of fat stores. No wonder society has gotten heavier since following the advice of experts telling us to eat low fat foods. But don’t wait for an apology – it won’t be coming. And we do not have to eliminate all sugar or all processed foods. We need to alter the quantities and to make sure we eat good fats and proteins. We also need to ignore what the “experts” tell us. Do not eat low fat foods. Reduce your intake of processed and packaged foods. Reduce your sugar intake. Read labels. Eat mainly real food, which comes from nature rather than a factory.